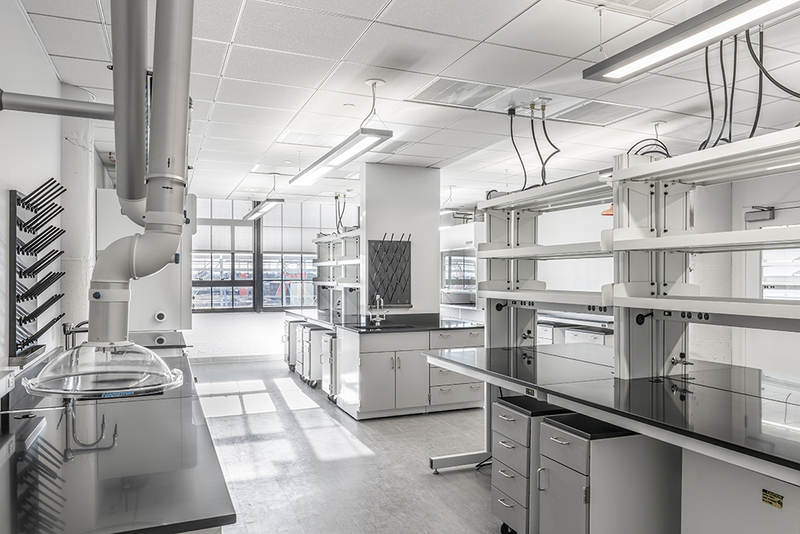 Wise Construction recently completed Living Proof’s new 28,000SF headquarters, located in the Seaport’s Innovation and Design Building (IDB). 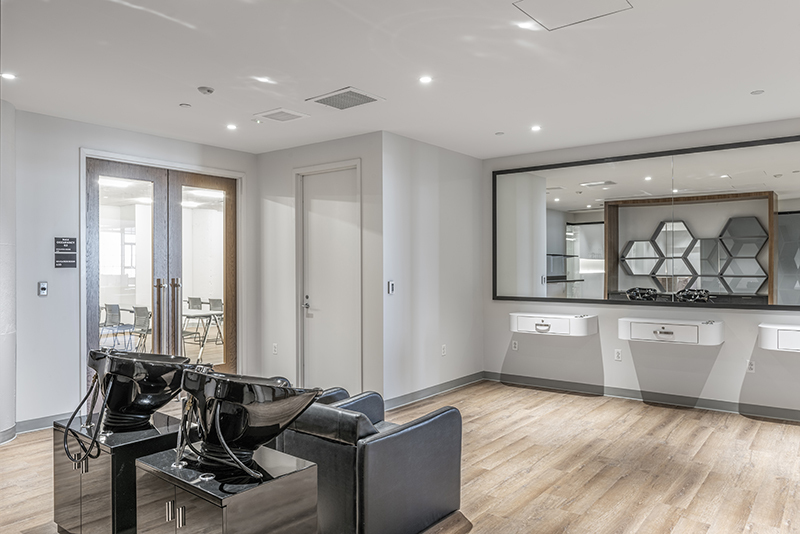 The space seamlessly combines lab, office, and test salon space with natural wood and concrete finishes. Having outgrown their Cambridge location, Living Proof, the creator of hair-care products that solve the toughest beauty challenges with science and patented technology, needed a space that could provide flexibility for growth, and serve as a showcase for the brand. When construction started in August, the project was intended to be completed in just over twenty weeks, but Living Proof needed to occupy the space by the start of 2019. Wise was able to leverage knowledge of working in the building to create a phasing and logistics plan to break the space up into different sectors, forming a cohesive workflow that ultimately saved four weeks on construction time and had Living Proof’s team comfortably occupying their workspaces by the New Year. The project team included Jamestown, Leggat McCall, SGA and WB Engineers.